David Sawyer, MBE is a Brighton resident who has dedicated his life to voluntary work and fundraising for charity. For twenty-nine years he served as a Trustee and Governor for Hamilton Lodge School, he also spent many years fundraising for the school whilst working at American Express during the 1980s. Hamilton Lodge is a school and college for deaf students aged 5-19 years. which offers residential boarding for students from all over the country. The new Sensory Room was officially opened by the Mayor of Brighton and Hove Cllr Dee Simson. 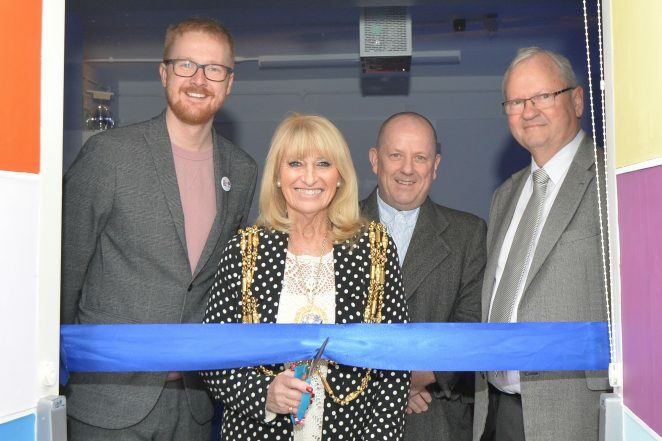 The Mayor, and local MP, Lloyd Russell-Moyle made speeches praising David Sawyer for his life-long record of voluntary service and his commitment to the city’s deaf children.